The Two BEST Places to Find My Courses Are; Here On This Site and On Udemy. As each new Udemy course is completed it will appear in this section with a brief description and a link to the course. Please check back often to see what is currently available. Never miss a new class offering or any site updates. Far too many people fail at their attempts to become successful truck drivers. Many quit and leave the trucking industry before they complete their first full year. This course is designed to explain why that happens and recommend ways to avoid having it happen in the first place. There has never been a better time to open and operate a trucking company than right now. Today due to many factors along with the availability of specialized information to you anywhere anytime thanks to the technology we all currently enjoy, you can learn lessons in hours, days and weeks that took others months, years and decades to learn and benefit from. This course is now available on Udemy. It covers a critical skill - one so important to you regardless of what your profession is, and equally important in your personal life. What you say and how you say it matters. In this course you will learn how to get your message across clearly as intended and how to listen and accurately receive the true messages of those communicating with you. This course is now available on Udemy. It covers a critical skill – one so important to you regardless of what your profession is, and equally important in your personal life. What you say and how you say it matters. Have you always wanted to own your own business – just never thought it was realistically possible? That is the problem for many people – especially when they are looking at starting a typical small business the normal way. That way means a lot of money is needed to get it off the ground – money most people simply do not have access to. Consider becoming a Freight Broker and building your own brokerage business step by step. It costs a lot less and is much simpler than you probably realize to actually get started. 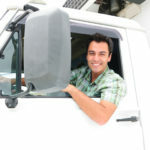 As a Freight Broker you are an intermediary that arranges for loads to be moved by communicating with shippers and motor carriers (trucking companies). This course is NOT for the average truck driver. It is for highly motivated smart and driven entrepreneurs who have chosen trucking as a path toward a better life and who are pursuing it for all it has to offer with a vengeance. You can build a career that can take you as far as you have the vision, guts and determination to go. But be forewarned - trucking is not for the faint of heart, cry babies, or lazy people expecting a handout. The thought of having to fire someone is never a pleasant thing – nor should it be – yet it is a necessary part of business. Failing to take action when required can create all kinds of problems for your organization. Bad employees undermine efficiency, increase liability and destroy morale. There will be times when you need to fire such problem personnel. Are you sick and tired of being sick and tired? Always running out of money before you run out of month? This course will provide you with information that is much different than the normal personal finance hogwash. An entirely different and direct way of dealing with debt, managing your money. Specialized information is potential power – and that power gives you the ability to determine your own fate and build a better life of your own design. Learn how to start and build your own successful Independent Recruiting Business while you are out there on the road driving a truck. This is a way to earn very good money if you are good at it – and it is an opportunity very few other drivers even realize that it even exists. The few that do see the potential have no clue how to systematically capitalize on it and they struggle as a result. While they do make some money that way it pales in comparison to what they could be making if they actually knew what they were doing! An extremely efficient and motivated Rolling Recruiter could potentially earn MORE money recruiting than he or she earns driving the truck! But that is only possible for well informed and top performing drivers who are serious about pursuing this as a business and not just looking to get a few referral bonuses here and there. Learn how to start and build your own successful trucking business as an Independent Owner Operator with your own authority – instead of being tethered to another carrier as a captive. This is NOT the right course or the right business for everyone. To succeed this way you must be driven to succeed and be highly motivated, have the heart and mind of an entrepreneur and be willing to work both hard and smart and do it consistently. Those who can do that can have rewards the others cant even begin to imagine! Those who can’t or won’t need not even try it. When you are an independent owner operator your ultimate success or failure rests squarely on your own shoulders. You must be willing and able to learn many new things – and then continue following a path of continuous learning. You must be able to set clear and specific goals, manage your time extremely well, communicate effectively, be able capable in sales, manage the details of running your business and all the while be looking at the big picture and thinking ahead while dealing with the present everyday. You will learn how to do all that and much more in this course. You will also learn how to handle your money – including building and then maintaining an adequate emergency reserve fund at all times. If you are sure you have what it takes and you are ready to become an Independent Owner operator and start building your own company then this is the right course for you!